The Eyelash Volume and Lift (EVL) course is an equivalent to the LVL course. 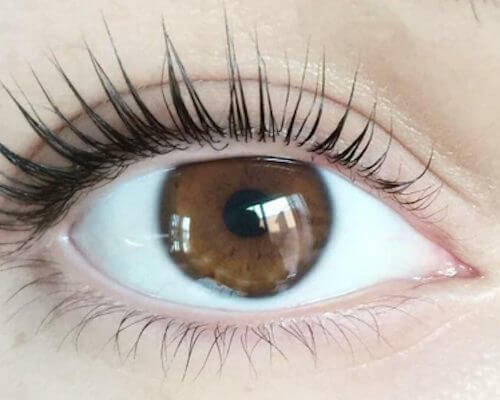 The treatment itself is one of the latest beauty trends, using the client’s own eyelashes with results lasting up to six weeks. EVL is simple and quick to perform, with a treatment time of 45 – 50 minutes. To perform EVL, you use silicon shields to curl and lift the lashes before tinting them. The treatment procedure for lifting and upper lash tinting. On this course, you’ll learn how to perform an EVL treatment, lifting and tinting the client’s lashes for a natural result. The course runs for one day, in-house and you’ll get a certificate to show that you are trained to professionally perform this treatment on a client. You can also keep hold of your course guide to reference throughout your career. You will learn how to consult your clients to work out the result that they’d like, the health and safety procedures for performing an EVL treatment and how to prepare for the treatment. You’ll also learn the procedure itself, which involves lifting and tinting the eyelashes. Experience is not required to complete this course. The EVL training course is a one-day in-house course, suitable for anyone from beginners to qualified therapists wishing to learn about this exciting treatment. The course runs for one day, so you’ll be asked to practice the treatment on a model to get the best level of experience. £100 deposit is required to secure your place. Refunds are not given unless you give a cancellation notice 7 days before the course is due to start. The tutor Rachel very knowledgeable, the kit was great! Loved learning how the lashes are done, the before and after was amazing! It was great where the tutor did a step by step on a model before I did the treatment. I enjoyed the in depth presentation, handouts and the practical. Information provided by tutor i.e handouts/kit. How we where given a demonstration then practiced ourselves on our own models. Rachel was extremely knowledgeable, spoke clearly and was very patient. Demonstration was really detailed, felt comfortable carrying out practical. Thorough about course and knowledge they wanted me to have and gain.